The newest member of the StarCraft II development team, Kevin ‘monk’ Dong had a rich history with Blizzard games long before he stepped into his role in Game Design, where he works on Co-op Commanders and multiplayer balance. 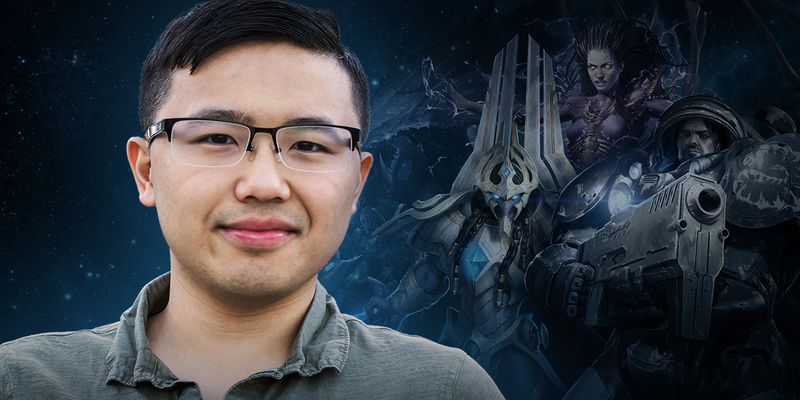 We sat down with him to learn about how he got into StarCraft and how he transitioned from community figure to game developer. Some may not know, but before you joined Blizzard, you’d already been a part of the StarCraft Community for years under the handle “monk”. What were your first experiences with StarCraft? Kevin “monk” Dong, Associate Game Designer, StarCraft II: I was first introduced to StarCraft almost 20 years ago, when the game was first released. I was over at a family friend’s house, and their son showed me this game he described as “Warcraft II, but in space.” I was pretty hooked from that point, constantly playing the AI in comp stomps and on BGH 4v4 with friends. Along with Pokemon, I would have to say it was one of the most influential games of my adolescence. My next foray with Blizzard games was with WarCraft III. I invested countless hours into watching and analyzing pro games. 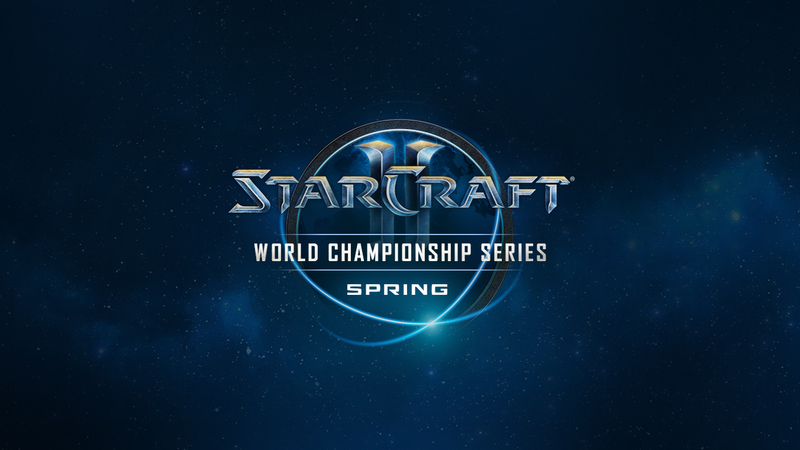 It was through the esports scene that I was once again introduced to StarCraft and the whole pro-gaming scene in Korea. Starting in 2007, I began digesting every bit of StarCraft I content I could. The hub of it all was TeamLiquid. 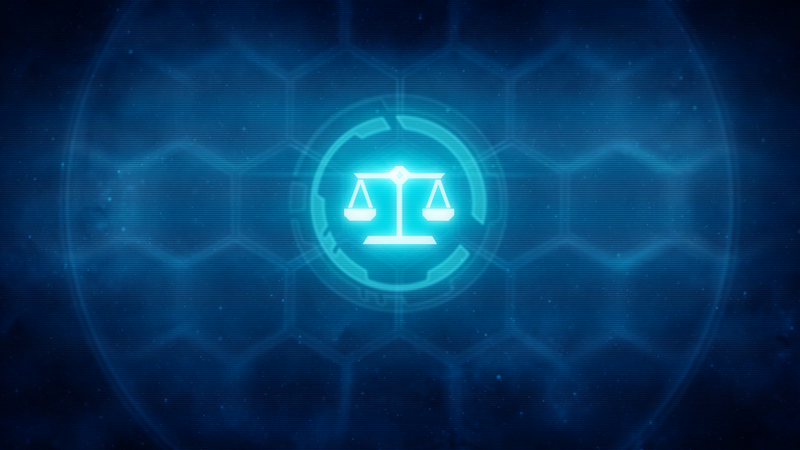 How did your experience evolve with the release of StarCraft II? 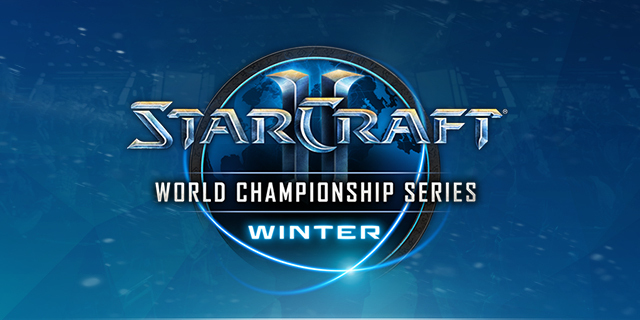 Kevin: When StarCraft II came out, I knew it would just be a continuation of my infatuation with the StarCraft series. I was a fairly decent player, reaching GM in the early days of Wings of Liberty, but I soon began to realize I enjoyed talking about the game almost more than playing it. Thus, I began volunteering for TeamLiquid, at first just writing strategy and coverage articles for fun. My proudest accomplishment during that time was writing a 100-plus page strategy guide on the Protoss vs. Zerg matchup. Eventually, one thing led to another and I began working for TeamLiquid full-time as a project manager. You had a stint as an influencer in the Hearthstone scene as well. How did you first get involved with Hearthstone? Kevin: My involvement in esports skyrocketed when Hearthstone was released. I quickly realized that I was quite decent at the game, and in order to satisfy my need to discuss strategy with high-level players, I founded what was arguably the first Hearthstone team: Liquid Value. Looking back at it, it was pretty cool since it included both some ex-StarCraft personalities and also some now famous Hearthstone personalities including TrumpSC, Kripp, StrifeCro, Frodan, and ChanmanV. During the years I was involved in Hearthstone, I held roles as a player, content creator, commentator, team manager, and tournament organizer, traveling the world throughout it all. All you StarCraft fans out there should look up my Hearthstone match versus Artosis! Despite my heavy involvement with Hearthstone, though, I always remained a part of the StarCraft scene, and one of my most prominent roles was working as the Blizzard liaison for TeamLiquid. Through TeamLiquid, I also worked on projects such as TSL, TLMC, and various other StarCraft tournaments such as the KeSPA Cup Qualifiers. Did you ever consider becoming a full-time pro-gamer yourself? Kevin: I’d be lying if I said the thought never came up. But when I was growing up, that didn’t really seem feasible if you wanted a stable income, at least in America. I don’t think it became possible until very recently. I think I’ve mostly leaned towards stability when making a lot of my life decisions. What was your experience with Co-op Commanders before you joined the Design Team? Kevin: Sometime in early 2017, I shifted my StarCraft time from the versus mode to Co-op. However, I’ve always had more fun talking about games than playing games, and there wasn’t yet a community to facilitate that yet for StarCraft Co-op. So I decided to take matters into my own hands and create a Discord group filled with some of the most committed Co-op players I knew. Slowly, the numbers began increasing, up to the almost 100 players we have today. Eventually, we started competing with one another to see who could solo each map with each Commander as fast as possible. It’s through this competition, careful refinement, and analysis that I came to understand Co-op to the degree that I do today. What made you want to work at Blizzard? Kevin: Throughout the last five or so years of my life, I’ve had the pleasure of interacting with hundreds of employees at Blizzard. The two things that always stuck out to me about them were their consistent positivity and their passion for their games. These two key characteristics—a positive work environment and passion for your work—are two of the most important things I look for when deciding where I work. It’s why I worked at TeamLiquid and why I now work at Blizzard. And come on! It’s a dream for so many people to work on their favorite games, and it’s not any different for me. How did you make the journey from a community figure to a game designer? Kevin: Because I was already a community figure in various Blizzard communities, I was invited to regular community summits, including those for StarCraft II, StarCraft: Remastered, and Hearthstone. During one of these summits, I told Tim Morten, StarCraft’s production director, that I had some suggestions for the Co-op mode. To my surprise, Tim booked a meeting with the Co-op team the next day. I guess they thought I had some good ideas because I was invited to apply for a design position that day. Did you ever consider being a game designer up until at that point? Kevin: Honestly, no. My friends and their parents all had traditional jobs. I had no one to be a game designer role model for me, to show me that this was something I could do with my life. I knew that that “game designer” existed as a job, but the path was always so obscure to me. It was not until it directly opened up that I even considered it a viable career choice. As I thought about it critically, I began to realize that it was the perfect fit for me. I had a strong operations research and optimization background and a passion for learning the inner workings of games. I had helped on development of successful custom games such as Footmen Frenzy, Castle Fight, and Desert Strike. And perhaps more importantly, I had an obvious passion for StarCraft. As someone who has been ”on the other side of the fence,” what are some of the most significant things you’ve learned since becoming a Blizzard developer? Kevin: Compared to most gamers, I think I had a better understanding of what went on behind Blizzard’s doors due to my experience in the industry and my involvement with TeamLiquid. However, most of my experience is related to esports, so joining a development team was certainly a twist. I wouldn’t necessarily call it a surprise, but after I joined, I found the whole game design process enlightening. Like many gamers, I used to think of the game development process as somewhat of a black box. A group of people would work on a game and then a few months later, the game would pop out. Is there an aspect of the process that you feel players would be surprised to learn about? Kevin: When asked what the most important skill for a designer to have is, I think most players would say something along the lines of “a strong understanding of the game.” But what I’ve learned from my time here is that strong communication and teamwork skills are even more crucial. So much of design is communicating ideas to your team and understanding what is being communicated to you in response. You mentioned you had a background in speedrunning StarCraft II Co-op. How does your experience with speedrunning help you design or balance Commanders? Kevin: Speedrunning typically involves pushing a game to its limits. For Co-op, it puts stresses on each Commander, taking them to their breaking points. I see the end results of speedrunning as data points that can be used to judge the strength and power level of Commanders under certain conditions. It also allows you to see what the fastest or most efficient strategies are for each map, and whether a multitude of strategies are viable for each Commander. For example, through speedrunning, I found that Fenix’s Scouts seemed to be his best option on Miner Evacuation. Meanwhile, Scouts didn’t seem to fare too well against flying enemies. And if you’re familiar with Scouts from the original StarCraft, you’ll know that there’s a problem there. That said, relying solely on speedrunning data to judge the strength of a Commander is risky. There are a multitude of factors that speedrunning does not account for, including which Commanders are most powerful in the late-game or how you work together with your ally. Perhaps most importantly, speedrunning does not account for player skill. 99.99% of players will not try to optimize their Co-op games. And that’s perfectly ok! Going back to your question about an aspect of design that I don’t think a lot of players consider: I think most players don’t consciously consider that it’s not only important to balance for power level among Commanders, it’s also important to balance for skill. In an ideal world, Commanders should have powerful and fun options at all levels of play. Newer players should be able to mass a few units and a-move them through normal difficulty; they might even be able to succeed with these strategies with a good partner in brutal difficulty. But more experienced players should have more powerful options that are both more challenging and rewarding to master. Who’s your favorite Co-op Commander? Kevin: This is not an unpopular opinion, but I think Nova is really well designed. My favorite thing about her is that she is so well-balanced for skill; I think she is both fun and powerful at all skill levels. 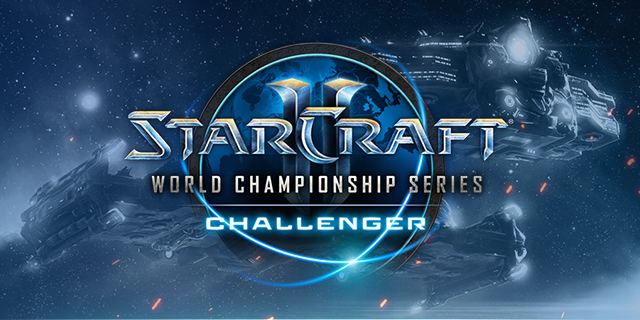 Players can mass Marines, Marauders, Ghosts, and Goliaths and a-move to victory without much StarCraft experience. If you’re looking for more of a challenge, players can add Siege Tanks, Liberators, and Ravens as well. And the best part is that both options are rewarding to play. I think the phrase “easy to learn, difficult to master” fits Nova perfectly. Nova also does a great job of promoting different unit compositions depending on the map. For example, Ghosts are great against Zerg, but horrendous against Terran mech. Goliaths are great on Void Launch but generally perform pretty poorly on Dead of Night. So far, you’ve been working on existing Commanders; are you excited to work on your very own? Kevin: Definitely. Compared to rebalancing existing Commanders, making an entirely new Commander from scratch takes a whole different set of skills. I’m excited to bring my personal flair to future Commanders.